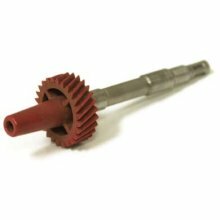 Speedometer Gear 31-tooth, 97-05 TJ Wrangler (excludes Rubicon), 92-01 XJ Cherokee. For information on installation and gear selection, check out our tech write-up on Jeepin.com. When changing tire size or axle gear ratio’s your original speedometer gear will not register the same MPH as it did with the stock gears and tires. The MPH will either read higher or lower than what the vehicle is actually traveling. You will need to change the speedometer transfercase gear to the correct tooth count to obtain the proper MPH reading on your Speedometer. 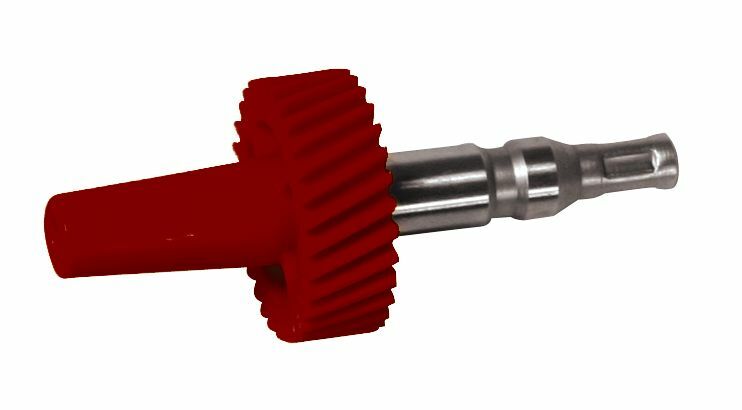 Use the Tire and Gear Ratio Chart to determine which Tooth Gear you will need to correct your MPH speedometer reading. Note: this part is not compatible with older cable-driven speed sensors.